1. 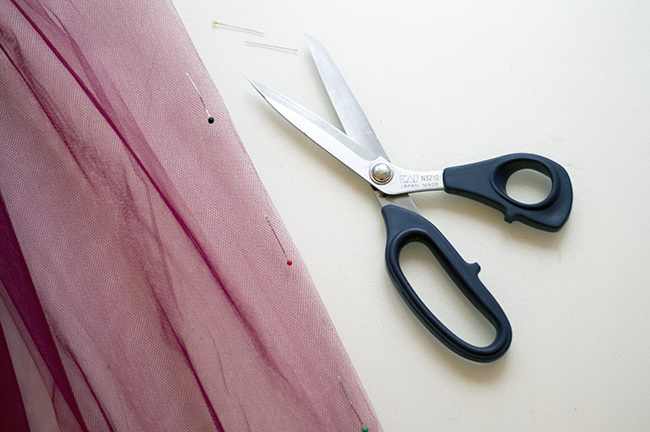 Cut the tulle fabric in 3 layers. Each layer should be around 5 m long and 1 m wide. 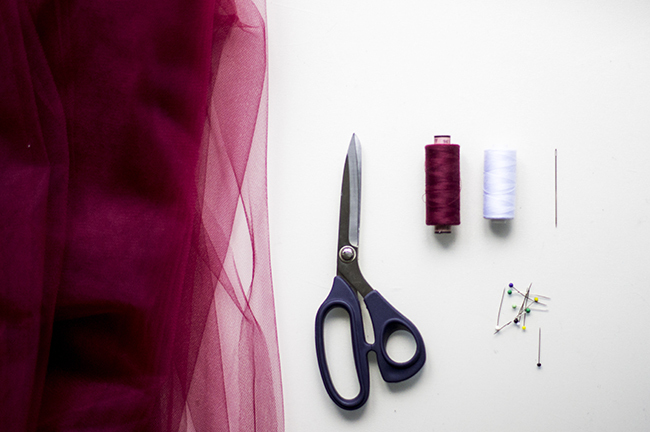 Put the layers on top of each other and secure them with pins. 2. 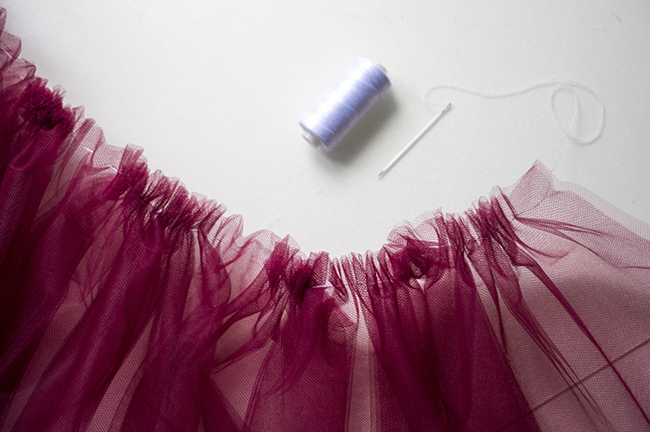 Ruffle the skirt with the needle and contrast thread. 3. 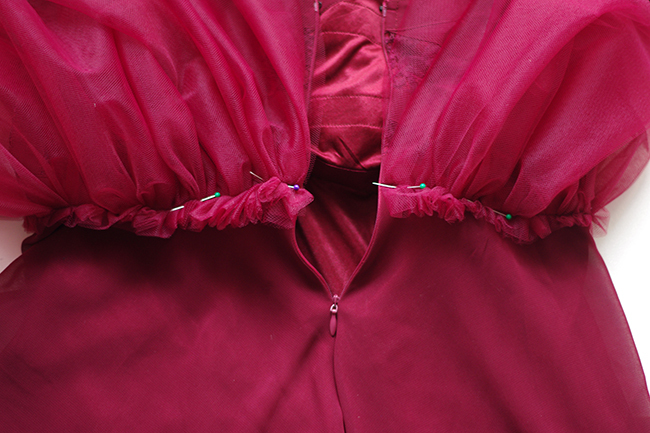 Now pin the skirt up side down to the dress along the waist ling from one zipper side to another (as shown on the picture below). 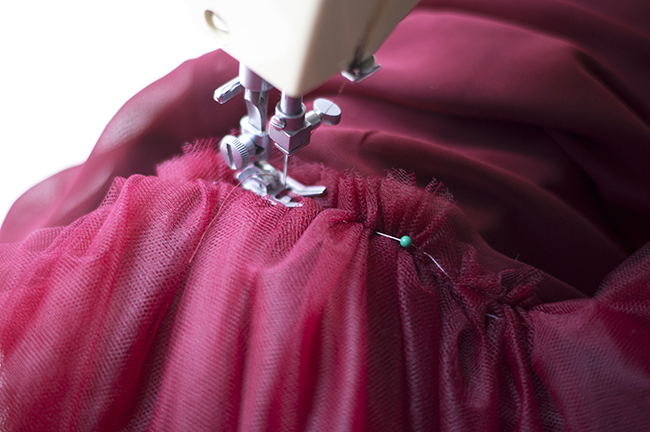 NOTE: you don’t need to close the skirt’s opening. Because of the volume the opening won’t be noticeable. 4. 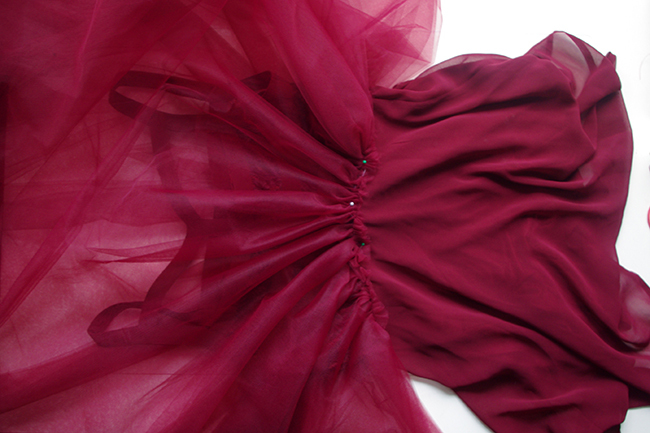 Sew the skirt onto the dress, remove the pins and the contrast stitching and you’re done! You looks sooo cute in this dress! and I love this color =) How much time did you need ? And how much money? I would say you will need around 3-4 hours. 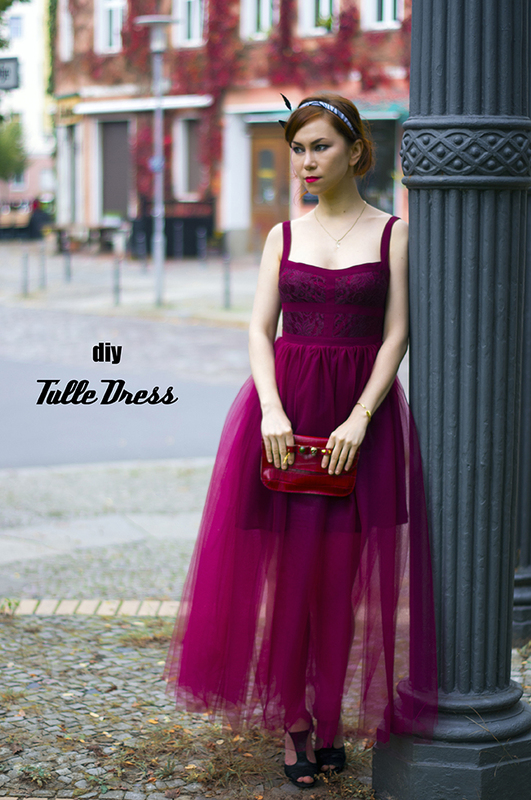 For the tulle fabric I spent around 15 euro. And the dress was already in my closet.